Two New York Times and USA Today bestselling novels together at last! This is the remarkable story of one endearing dog's search for his purpose over the course of several lives. 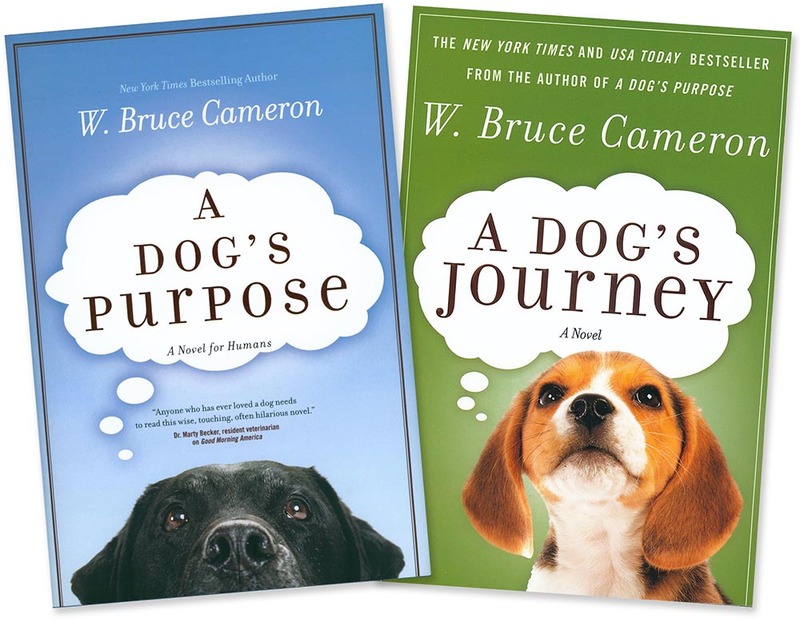 More than just another charming dog story, W. Bruce Cameron's A Dog's Purpose touches on the universal quest for an answer to life's most basic question: Why are we here? When Buddy is reborn in A Dog's Journey, he realizes that he has a new destiny. He's overjoyed when he is adopted by a vibrant but troubled teenager. When they are suddenly separated, Buddy despairs—who will take care of his girl? A charming and heartwarming story of hope, love, and unending devotion, A Dog's Journey asks the question: Do we really take care of our pets, or do they take care of us? I'm an avid reader, and appreciate all sorts of genres, but I struggle with reading first person accounts that are written from a viewpoint (or language dialect) that's vastly different than my own. I just can't get "into character" enough to appreciate what's trying to be told. I almost didn't get this title in to review for that very reason. Would it be a series of phonetic spellings of whines and barks and grunts? A dorky telling of a dog's viewpoint from a best-selling author who thought he could pull one off for the pet market? A new, even sadder and more gory way to describe the terrible unwanted pet problem? I was emphatically wrong on all my theories, and I am so glad I gave this one a chance. I was not very far into the pages... and I WAS that dog - reading from his viewpoint and understanding his world. And yes, you will need kleenexes, but I wasn't distracted from the story line by the occasional tragedies. They were more than offset by the happy, and humorous moments (kind of like real life). And the spiritual slant on this one left me feeling very good when I finished reading. I highly recommend.